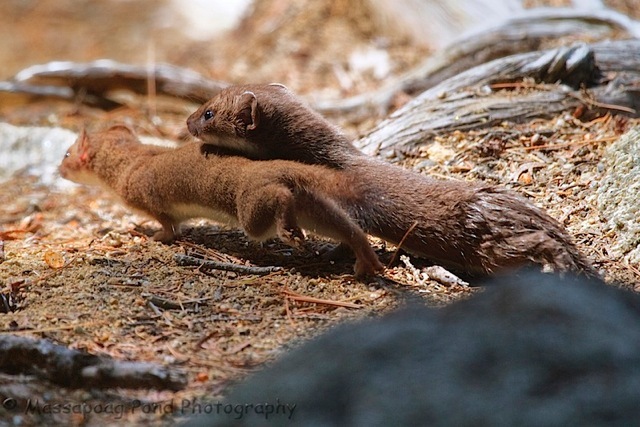 Evening folks…here is another weasel this one is a long-tailed weasel I photographed this past summer while in Maine. I sat down on the edge of a small pond and heard a bit of squeaking, looked over to my right and spotted 1/2 dozen little weasels poking there head out from behind a tree. I tried to get some photos of the young but they moved too fast! Mom came running over had herded them away when she squeaking and saved them from the big bad photographer….